The Hurtigruten is a group of 14 small transport ships that travel up and down the West coast of Norway. 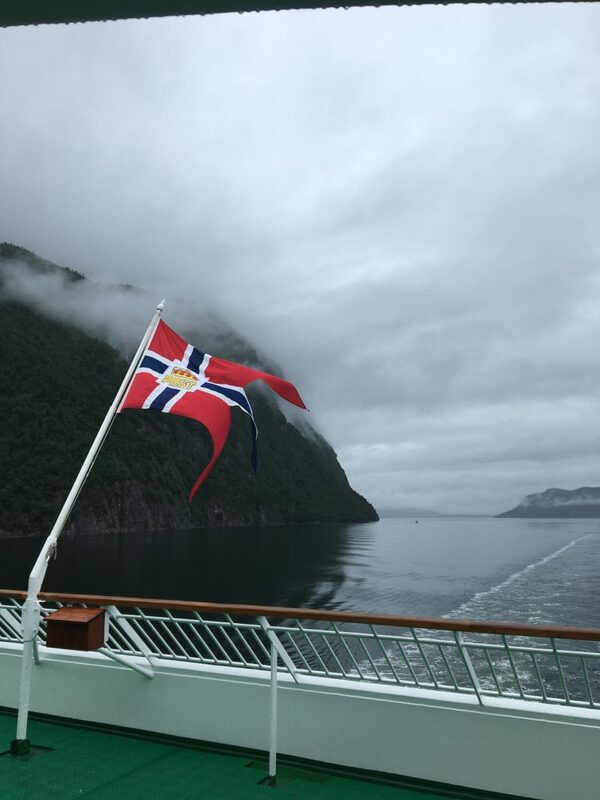 The ships stop at numerous small towns on the coast and in the Fjords delivering passengers, goods and mail to all those living there. The ships travel year round and offer many seasonal opportunities for the passengers to engage in. You can travel the entire length from Bergen in the south to Kirkenes in the north or visa versa. Some folks hop on in one town and travel to the next or stay on just for a couple of night. The ships are quite comfortable and most have been ,or will be refurbished soon. The scenery is magestic! The fabulous fjords, exotic waterfalls, towering mountains, charming villages and farm land. The food on board is tops, most coming from local farms and local fisherman. 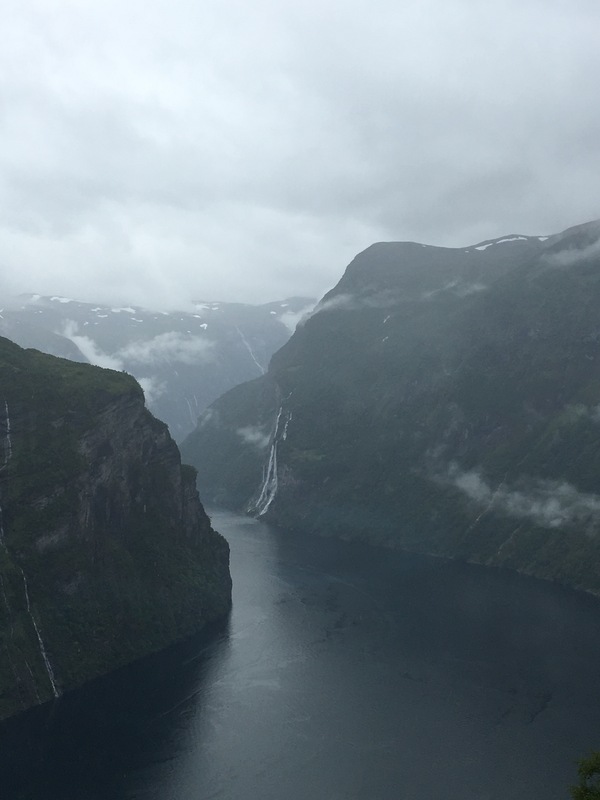 Today we travelled all the way into the Grierangerfjord which is on the UNESCO world heritage list. It can only be navigated for three months of the year. When we arrived into the town of Grierangerfjord at the very end of the 16 km fjord we took a fabulous bus ride thru some of the most picturesque scenery in Norway. We travelled thru the heart of troll country and found many of the little mystical Folk. As I sit in the observation deck of our ship now at 11pm, the sun is just setting over the water and the sky is finally clearing after two days of solid rain. A rainbow showed up just as we were boarding the ship. Tomorrow will be a better day on the water.